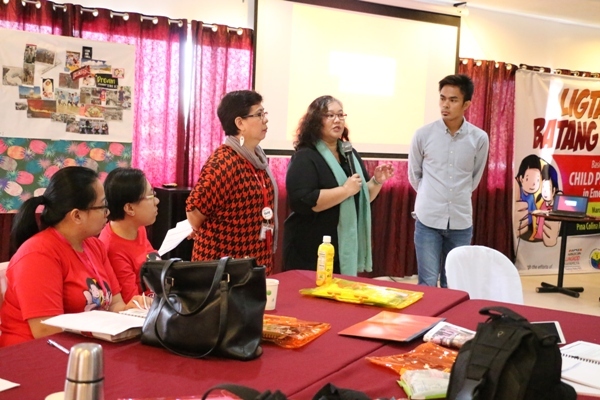 To better equip the child advocates and social workers on how to protect children from abuse, neglect and exploitation during emergencies, Bantay Bata 163 in partnership with the City Government of Valenzuela and Save the Children Philippines held training on Child Protection in Emergencies. This method plays a vital role on saving children in distress. Beyond the theories discussed, participants were tasked to group themselves into three to demonstrate actual application of PFA. Three individuals played a role of a survivor, documenter and a social worker. 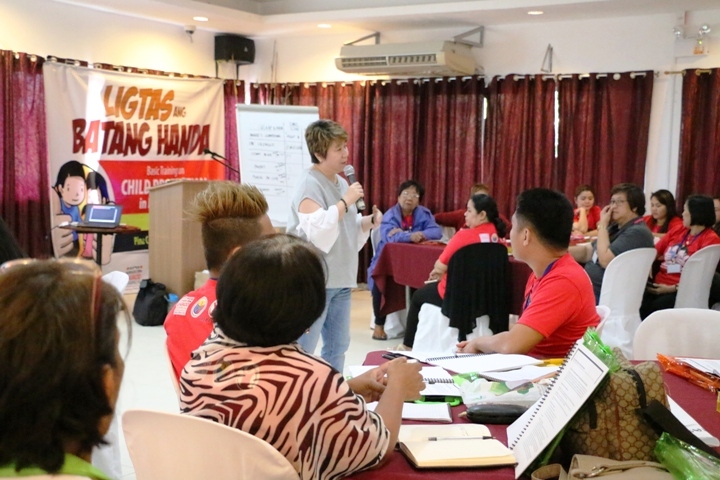 It was done in order to help the child protection workers understand on how to give care, comfort and help someone access basic needs during the disaster. During calamities, victims and survivors are not merely adults but also children who were left unnoticed. Children are vulnerable, it is one of the factors that might cause abuse and exploitation. Child protection workers need to provide a safe place to comfort the children in need. CFS, is a platform which will provide them a psychosocial support to make them feel safe and secured during calamities. “Sa calamity o disaster, mostly may mga batang nahihiwalay, so if mahiwalay siya sa parents niya and then makita natin siyang kasama ang stranger or kung sino mang hindi niya kaano ano o hindi niya kilala, so red flag ‘yon kasi mas prone sa abuse at exploitation ang mga bata.” said Lendon Fuertes, Community Child Welfare Worker, Valenzuela City.